4k00:12Farmer fertilizing young colza field with pesticides GMO. hd00:09Aerial view of palm trees and green rice fields at Mr. Brown Avenue. Chishang. Taiwan. June 2017. 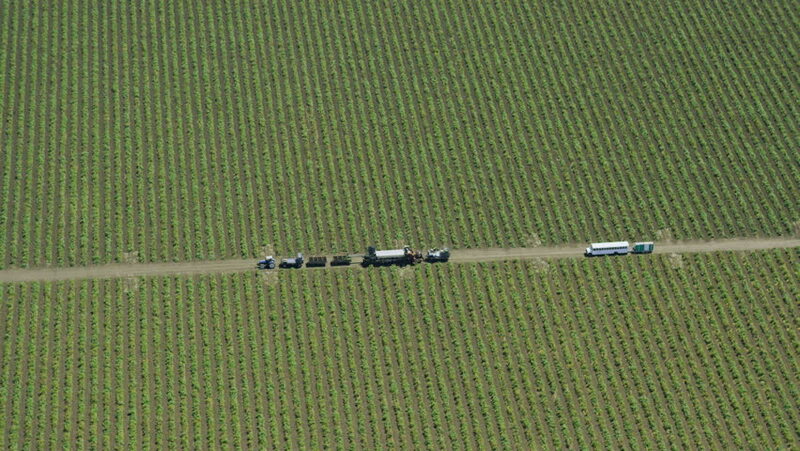 4k00:19People harvesting grapes aerial 4k video. Vineyard landscape harvest season. Farmers working vineyard in autumn. Agriculture industry Organic horticulture.